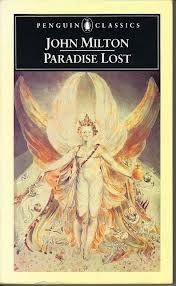 John Milton’s Paradise Lost is a magnificent work. For those who are unfamiliar with this epic poem, first published in 1668, it details Satan’s fall from heaven into hell, the creation of the earth and humans, as well as humanity’s expulsion from the Garden of Eden. In some ways wildly over the top, the poem covers epic and violent celestial battles between the forces of God and the forces of Satan, involving legions of angels, demons and satanic war machines, philosophical conversations between God and Jesus, as well as phantasmagoric descriptions of heaven, hell, the Garden of Eden, etc. 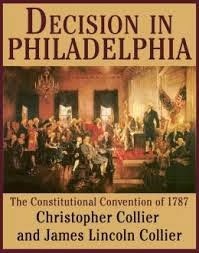 It is full of interesting philosophical themes ranging from the nature of evil, reason and religion, the paradox of predestination and free will, etc. It builds a macro to micro picture of a cosmos that ranges from the actual physical locations and proximities of heaven, hell and Earth, down to the dietary habits of angels. An issue that has occupied critics and legions of other readers over the centuries is the fabulous depiction of Satan in this poem. Milton’s Satan speaks in eloquent and soaring verse, is often brave and noble, at least within his nefarious circle, as well as intelligent and self-reflective. There are varying opinions on this very unconventional portrayal of the Devil. A few have gone as far as to accuse Milton of blasphemy and Satanism. It seems to me that Milton was portraying Satan as a terribly tragic figure. He is an angel who possessed incredibly noble and appealing virtues but who could not resist the appeal to evil. Hence he fell a very long way. Furthermore he was one of God’s leading angels. Monumental virtue, though eventually lost, would have been a prerequisite of this position. It would not be surprising that elements of this virtue would remain after his fall. Though a sympathetic character in many ways, there is no doubt that Satan has become a purveyor of evil. He constantly harps about revenge upon God, corrupts humankind and brings all sorts of chaos into the universe. Satan’s story is one of monumental tragedy; it is monumental precisely because of the virtues inherent in his character. There are so many other themes and ideas explored in this work. I will be devoting another post or two in exploring some points that were of particular interest to me. There are many reasons to read this poem, not the least of which is the amazing persona that Milton has created in Satan himself. Lucy Horner is a fellow Blogger. I have been known to comment at her site, Therapy Through Tolstoy and she has commented here. I purchased this book on Amazon. Those who are familiar with Lucy Horner’s Blog, Therapy Through Tolstoy know that the a major theme of her site is exploring ways in which reading fiction can enhance one’s well being. 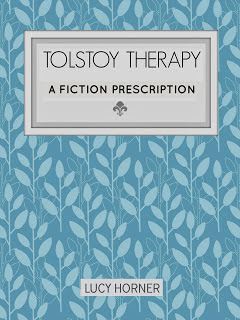 In Tolstoy Therapy: A Fiction Prescription she lays out her philosophy in detail. As the author points out, this approach at self - help, known as Bibliotherapy, goes back to the ancient Greeks. Horner tells her own story and explains how reading has helped her deal with Post Traumatic Stress Syndrome. Next she provides real life examples of folks who have dealt with life’s problems through reading. Later, she explains and recommends how numerous works might be helpful when dealing with various personal issues. A plethora of books are explored. 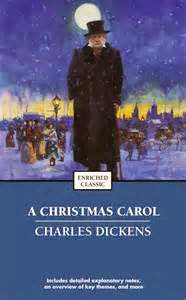 Many of the titles are literary classics including works of poetry, but a fair amount of popular literature is also included. Titles range from Henry David Thoreau’s Walden, to The Bible, to J.K. Rowling’s Harry Potter Series. The reasoning here is not just that “life affirming stories will make you feel good”. Horner talks about how books can provide relatable characters that are also wrestling with common issues, how books can provide inspiration, how books can provide a moral compass, to name just a few benefits covered. There is even a nod to the fact that some works that are generally negative in their outlook, might, in some cases be of help to some. Finally tips on becoming a more dedicated reader are provided. Lest anyone is thinking that the author goes too far, Horner emphasizes over and over again that reading is no substitute for professional therapy and medication. It is instead a way for people to find solace and guidance in dealing with life’s problems, both big and small. 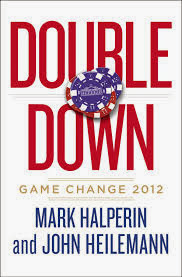 This is an engaging, short book. Horner coherently takes us touring through various works and explains how they might be of help in life. She evens sites scientific studies that support her position. Her writing style is warm and personal but also precise and easy to understand. There is much food for thought here as well as more then a few surprises. If anything I hungered for more detail and thought that some of these concepts can be further developed. Perhaps there will be future books! I currently make time for reading every day, and choose books that positively affect my mental health. Because of literature, I’ve come to understand not only myself better, but also my past experiences. Reading is one of the best ways to find reassurance or to relate to another, particularly when a book is well chosen. Personally I read for many reasons. A kind of self - improvement is but one of them. Previously, I never thought of reading as a way to directly deal with life’s problems. Nor had I ever heard of Bibliotherapy. However this work, as well as some of the posts over at Therapy Through Tolstoy , does lead me think. Without a doubt reading has at times helped me deal with life including my own shortcomings. I certainly have derived strength in difficult times as a result of fiction that I have read. My take is that reading in order to deal with life’s struggles is one dimension of many that makes reading worthwhile. Thus, this short book is an intriguing exploration of that dimension. In the future I will be surely more cognizant of reading’s potential in these respects. Of course, I cannot fail to mention that this work is also a very entertaining and fun read for bookish folks such as myself!